Loyalty. Allegiance. Devotion. How far would you go for family? 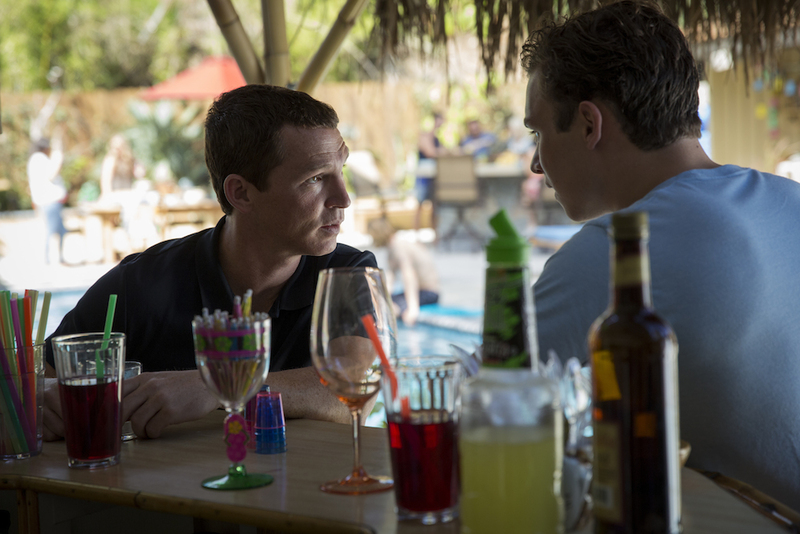 When it comes to TNT’s high stakes drama “Animal Kingdom,” there are no limits. The series follows the story of the Cody family, a working-class crime family of four brothers and their mother. 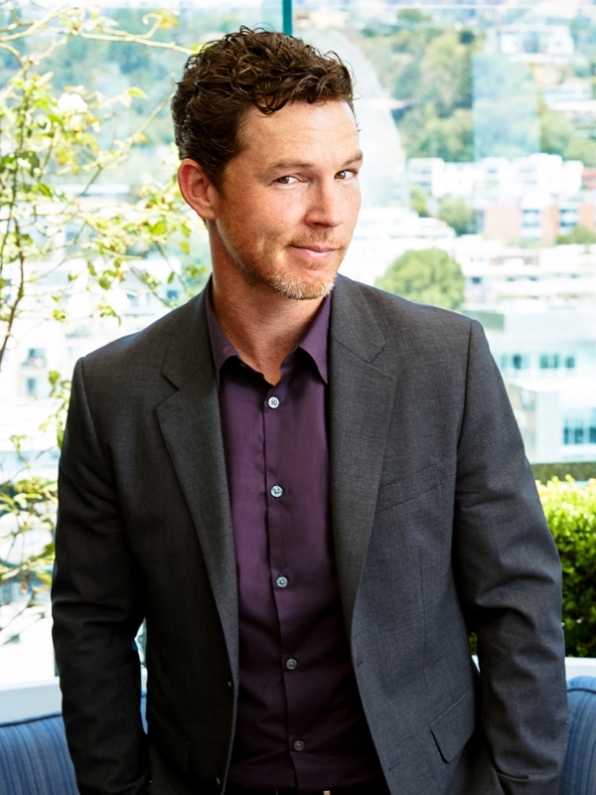 Shawn Hatosy plays Pope Cody, the oldest and most sadistic of the brothers, so convincingly that it is almost impossible to believe he spent five seasons playing Detective Sammy Bryant on “Southland.” Hatosy’s versatility has also landed him roles on “Dexter,” and in the critically acclaimed film “Alpha Dog” alongside Justin Timberlake. The Overhead Compartment took a cautious spin around the block with Hatosy, to learn about what makes his characters tick and where he finds his inspiration. OC: You play the angry oldest brother Andrew “Pope” Cody on the TNT drama, Animal Kingdom. What is it like to play a character so mean? OC: How did you prepare for the role? SH: The good news is John Wells and Jonathan Lisco are behind the show. They spend a lot of time with the cast before shooting and they have a pretty solid foundation for these characters, their back story and family history, which gives us a lot of room to grow so we are all on the same page. Also, when you work in series television, you’re making it happen as it goes and you’re responsible for your own back story. But here we are all on the same page and those scenes grow it into what it has become. So, that helps in the preparation. These characters are all physical by nature, so there is a lot in how they hold their bodies and move, a lot of prep work there and going to the gym for the physical body and spending a lot of time with that stuff. And then, lastly, people like Scott and Ellen, they are all great actors who come to work ready to explore this stuff. It’s been a joy coming to work and watching their process and how they attack every scene. OC: How do you stay in shape for a role that is so physically demanding? SH: It’s committing to making yourself go to the gym, and I like to play tennis. OC: Ellen Barkin is the matriarch of this criminal family. What’s it like to work with her? SH: Fictionally she is our leader, but she has also stepped into the leadership role in the cast as well. I always check in with her after we get the scripts, we spend a lot of time discussing the characters and how we feel about the twists and the narrative. She is always pushing the writers, pushing us, asking a lot of questions about “does this make sense for the character,” for the Cody’s. She is tireless in her effort to prepare for (her character) Smurf and brings a lot to it every week. So far it’s been a wild Season 1 and I’m really excited for Season 2, for Smurf and the Codys because of where we have left off in the story telling. She has a command of these guys and she has an interesting, unique relationship with each one. Now that ‘J’ has been brought into the fold, you kind of get to see it starting over. From Craig to Deran to Baz to Pope, we get to see how she has shaped and formed these terrible people! OC: Animal Kingdom is partly filmed in Southern California, where do you go to relax after shooting? SH: Shooting in LA is such a cool place. They built the Cody House on the Warner Brothers ranch, which is not a terrible place to have to go to work everyday. But the cool thing is, halfway through the season we go to Oceanside – which is just outside San Diego, near Carlsbad – and they put us up at the Four Seasons. I bring my kids and wife, it’s great and so beautiful. SH: One of the first locations I ever went on was to Austin, Texas. I enjoy that city. The food, the music and it’s so green and lush, a very cool city. SH: Check out the bathroom, open all the doors and see the space. I enjoy hotels a lot: when we went to NY to promote the show we stayed at the Mandarin Oriental in Columbus Circle, now that is a great hotel. Just so many doors that open to beautiful rooms, the views are spectacular, the amenities, it’s all perfect. OC: You grew up on the East Coast, but now live out West. What do you miss? SH: My family is still there, so I do get a bit of time to visit. But I love Southern California for the weather. It’s great, I play tennis and can play year round. There is something about not having snowfall. My son who is three has seen snow fall twice…we miss that a little bit, but the snow is nice for a day or two and then you are hoping it melts and gets warm. OC: You mentioned you are a tennis player, do you watch tennis also? SH: I personally like Serena and my favorite men’s player is Federer. His footwork is just beautiful. Shawn Hatosy, please use care upon departure as items may have shifted in The Overhead Compartment during our journey. Thanks for choosing us for your travel tips! Have a wonderful day!